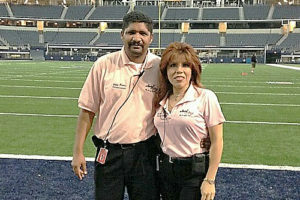 Football season is underway and Jani-King franchise owners are busy executing their game plan in stadiums across the country. 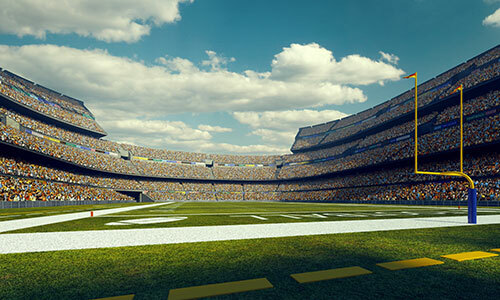 Currently, Jani-King franchisees provide stadium cleaning services at four NFL stadiums and multiple college football venues. As Scott Borland, Director of Operations at Jani-King, can tell you, tackling the challenges is just a matter of having the winning game plan. It is imperative to put together the proper number of staff in order to meet the rigors of a venue schedule, according to Borland. The roster of cleaners must be large enough to account for back-to-back events and extremely busy event schedules. If your franchise owners don’t have the people to clean, they are in for some serious hardships. Job fairs are one way for them to find cleaners and most venues will allow the service provider an area of the venue to hold a job fair. State Departments of Labor are another good resource when it comes to assisting franchisees in filling out an employee roster. These state agencies may also become a pipeline to help accommodate for employee turnover. According to Borland, hours spent organizing the operations are going to be well worth the investment for franchisees. Specific levels of management and supervision are needed to keep a large project moving forward in a positive direction. Depending on the contract specifications, there may be a need for a daily, pre-clean, event clean and a post-clean team. 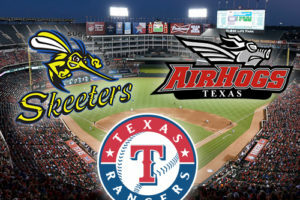 All of these teams will need to be managed closely by the franchisee. Proper supervision is the key to realizing efficiencies and quality standards. Consistently allocating specific areas of responsibility to the same staff members is beneficial. It helps to identify the top performers and also those in need of support or replacement. “Standard operating procedures are the guiding force to creating a repeatable effort,” says Borland. “They are the ABCs of the operations. Processes must be followed in order; ABCD order works, while doing things in order of ADCB can lead to excessive labor hours.” Borland goes on to say these procedures also are valuable with regards to training and consistency. Additionally, codes of conduct, best practices, safety, and checklists may be incorporated into the SOP manual. The success of the venue account can rely heavily upon procedural policies. Jani-King franchise owners and their support teams exceed world class standards every week by meeting the three main challenges in large sports venue accounts. Remember, a proper staffing roster is a top priority. Investing time in organizing the management and supervision helps set up lines of communication and quality control. And taking on the challenge of developing standard operating procedures to guide the efforts will pay off with efficiencies and consistent results.